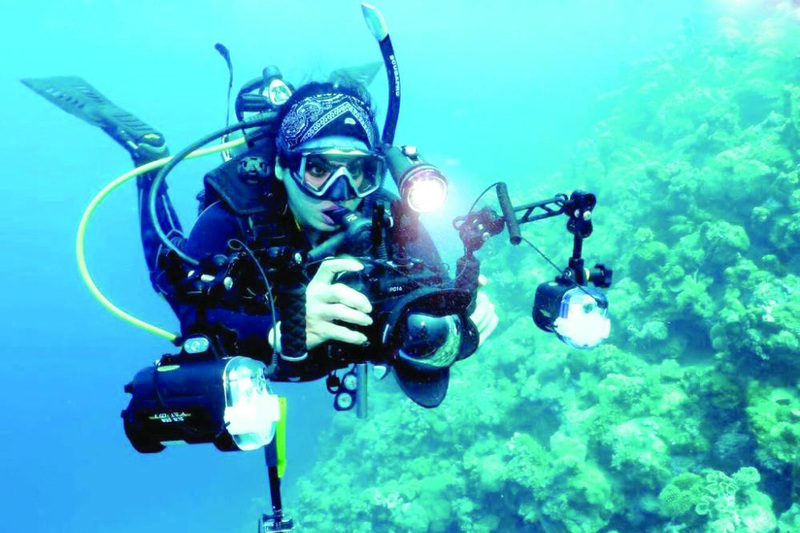 As a female diver, she was told for many years that her passion was something that only men do. However, Khan didn’t let such sentiments deter her as she felt the sea is a creation of God and that “God did not limit it to a particular gender.” Although she felt her diving was something she did that was actually a source of pride as a Saudi woman, as well as being an activity that was important for meditation and mental health, she kept it a secret from her family at first. “My mother has an extreme phobia from the sea. She finds it dangerous and unpredictable. So, I would go to classes behind my family’s back. But after a while, I wasn’t comfortable with hiding the truth from them and I began gradually introduce them to my new hobby. I am very thankful that they opened their minds to it and accepted it once they learned that it is safe to practice,” said Khan.